Every student wants to chill out for a brief moment after studying, and relax with some non-school activities that you can do with your friends, or maybe just alone (depending on what you like better). In this case, Hogwarts School of Witchcraft and Wizardry should not be just about studying charms or potion classes. Every once in a while, you need to take a break so your brain doesn't explode with all the new information coming in so fast, or if you just want to take your mind off of it and run away from reality. One of the things that you can do is games. In this case, being a young freshman in Harry Potter: Hogwarts Mystery mobile game you will be invited by your friend and everyday companion Rowam Khanna to join him in the Clocktower Courtyard in year one - chapter three. Your character will be thankful to Rowan for inviting you, so you can take your mind off problems at school that Merula Snyde and Professor Snape have been causing you. So, what is a better way to relax than a game of Gobstones? Don't you know how to play Gobstones? No worries, your friend Rowan will help you learn and give you the tips and tricks regarding this mini-game. Gobstones is a mini-game that will require the skill of focus and precision. It is highly popular in the wizarding world. 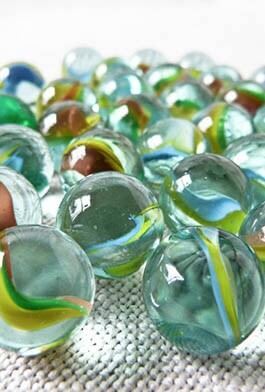 Gobstonesare pretty much the same thing as Marbles, a game popular in the world of Muggles(non-magical humans). There are a few version of this game but the main goal of every game is to knock the other player's marbles to a position that is not very good (sometimes it would be a hole, depending on the game mode). Marbles are made out of glass, while Gobstones are made of stone or sometimes even from some kind of precious metal. In Harry Potter: Hogwarts Mystery your character and Rowan will be playing a classic type ofGobstones. The goal is to knock seven gobstones before your opponent does. They are placed in the middle of the field in a circular formation. The only thing you will be doing in this game is to distract Rowan and make him lose focus and miss the gobstones he is aiming at. You will be given a series of sentences that you can pick every turn. In this particular game, your job will be to distract Rowan. The better the sentence you pick, the more distraction you will create, and it will fill your Diamond Metter (top-right corner). In this game, you will have 6 turns or 6 chances to win the game. One of the sentences will always be faulty, one will be acceptable and one will be the best-given choice that will award you the most points, and by that I mean it will fill your DiamondMetter faster, and most importantly before the end of the 6th turn. When a player loses a turn the magical stones, meaning Gobstones, will spit the looser in the face with an unbearable smelling liquid. In the end, if you've won or lost the game of Gobstones, you will earn Friendship points that can level up your friends and earn you rewards such as energy or gems (in-game currency that you can only get with real money). Energy is used to play the game, such as completing charm classes, and Gems are used to buy all kinds of accessories that you can't get with normal coins that you earn by playing and completing quests. Important note, the higher the level your friend is, the higher the stats they will have, and consequently it will make them harder to get distracted.